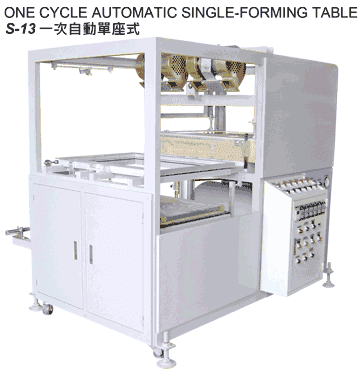 This machine is fit to make various packing blister, PVC forming calendar and coating film on disposable tray. The printing article forming which need to loading the sheet piece by piece also fit by this machine. PVC, HIPS, PS, OPS, ABS, APET, GPET, PP, PE...etc sheet.